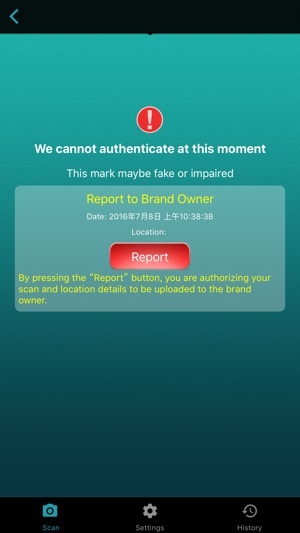 Ever think of authenticating a product instantly by just using your smartphone? Or just scan an image for more information? 1)Gives end customers real & instant product authentication. 2)Lets every end customer to be a security expert. Just aim the four points in parallel to snap Certi-mark. 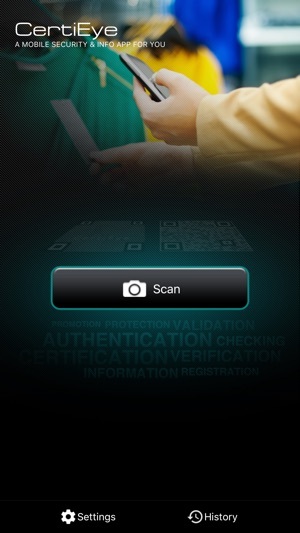 The authentication results can be obtained within a few seconds. With embedded information in an image, you can just use our app to scan for getting more product/offer/voucher information. 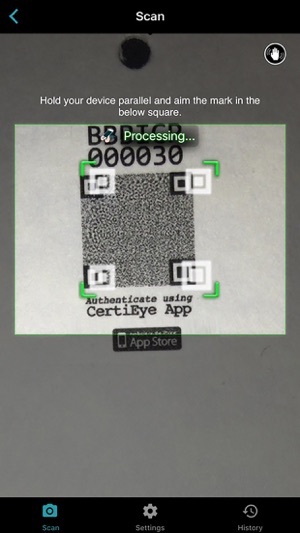 Apart from authentication, product information can also be retrieved instantly from the CertiEye. Just click ‘More Product Info’ in the authentication result page, you can get more product detail (text, photo or even video). CertiEye will record each snap info. for you. Just click ‘History’ to check your snap history and authentication result. Simply select ‘Language’ from ‘Setting’, you can choose your preferable language to enjoy CertiEye. We provide four languages: English, Traditional Chinese Simplified Chinese and Italian. You can receive rewarding information of brand owners any time. Many offers/ vouchers/ are waiting for you! You can simply subscribe/unsubscribe this information easily in setting page at the same time. Now you can go to a URL, watch a video or view an image after scanning Certi-mark. 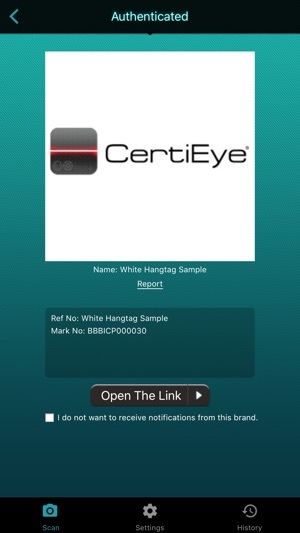 This makes you more convenient to access information with CertiEye. Every end customer can easily scan super QR with ordinary QR scanners to get more product or offer information. For the users who want to authenticate purchased products, just also use CertiEye app to scan this super QR for authentication. This makes end users more convenient to experience the functionalities.